Jacksonville Epoxy Pros are the team to turn to when it's time to totally remodel your old concrete based flooring and change it for a modern, practical, low maintenance solution with designer looks. 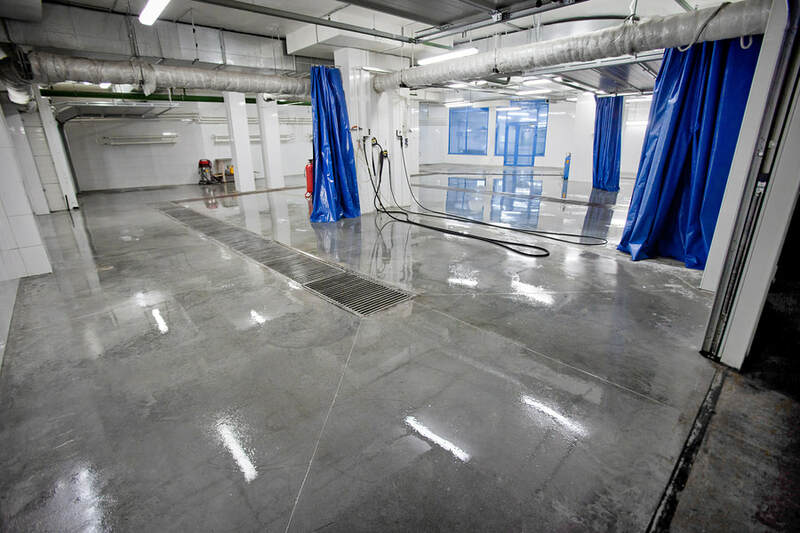 We can take an old concrete slab sub floor and grind it down before polishing it up to a glossy, durable and practical industrial flooring for you. We can coat or overlay existing concrete with a new top layer to level it, to make a flexible covering that won't crack, or simply to create a beautiful looking designer look. We can show you how concrete can be such a beautiful thing these days that designers and architects are showing it off rather than covering it up and we can polish it to a marble like finish. On top of the concrete itself though we really excel in epoxy. Epoxy provides the means of laying a glossy top coat that be totally skid free for safety in industrial and working spaces, or just plain beautiful for your auto garage. We can lay flooring layers that are chemically resistant, allergy free, totally seamless and stainless, even when they can expect a lifetime of minimal maintenance. The following are just a few highlights of the flooring options we offer but if you don't see what you are looking for here and you are talking about concrete flooring the chances are that we can do what you're looking for – so get in touch now.